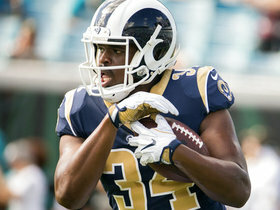 The Rams are matching Brown's two-year, $3.25 million offer sheet from the Lions, Ian Rapoport of NFL Network reports. The Lions have signed Brown to an offer sheet, Field Yates of ESPN reports. The Rams have tendered Brown at the original-round level, Myles Simmons of the team's official website reports. Brown (collarbone) finished the regular season with 212 rushing yards on 43 attempts for a career-best 4.9 yards per carry and five receptions for 52 yards and a touchdown through 12 games before being placed on injured reserve Dec. 11. The Rams placed Brown (collarbone) on injured reserve Tuesday, Myles Simmons of the Rams' official site reports. Analysis: Coach Sean McVay indicated last week that Brown would be sidelined for the rest of the season after requiring surgery to address a clavicle injury, but the Rams waited until after Sunday's loss to the Bears to make the transaction official. Brown's recovery from the procedure is expected to carry an 8-to-10-week timeline, so he should be at full health or close to it when OTAs commence in the spring. Brown is expected to require a procedure to reset his clavicle that will necessitate 8-to-10 weeks for recovery, Rich Hammond of the Los Angeles Daily News reports. Analysis: That timeline probably ends any hope of Brown avoiding injured reserve, leaving reserve backs Justin Davis and John Kelly to fight for scraps behind workhorse Todd Gurley. The 25-year-old Brown is scheduled to be a restricted free agent this spring after a 2018 campaign in which he took 43 carries for 212 yards and caught five passes for 52 yards and a score. The Rams probably hope to retain him as their No. 2 back. Brown (clavicle) is considered out indefinitely, Gary Klein of the Los Angeles Times reports. Brown (clavicle) is reportedly slated to be sidelined for the rest of the regular season, Mike Garafolo of NFL Network reports. Justin Davis and John Kelly are candidates to see added work behind Todd Gurley should Brown miss time due to his clavicle injury, Myles Simmons of the Rams' official site reports. Analysis: Brown was slated to undergo a procedure Monday to have his clavicle injury assessed and it looks like he's probably going to miss some time. Gurley continues to dominate the Rams' backfield touches, but his top backup is worth knowing in the event that he suffers any injuries down the stretch, or alternatively, the 11-1 team elects to rest any starters if its Week 16 or Week 17 games have no playoff implications. Coach Sean McVay revealed Monday that Brown was scheduled to have a procedure performed on his clavicle during the evening, Myles Simmons of the Rams' official site reports. Analysis: The procedure should reveal the severity of Brown's clavicle injury and the length of his potential absence. If he misses some time, Justin Davis and John Kelly would step into backup duties as well as special teams roles. Brown is dealing with a clavicle injury that could require surgery, Gary Klein of the Los Angeles Times reports. 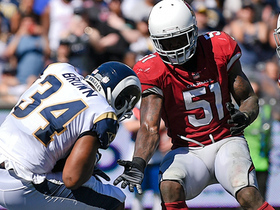 Analysis: Brown is not only a key backup to Todd Gurley but also a special teams star. Head coach Sean McVay noted it would be a "huge loss" to lose the fourth-year back for an extended period of time, so there will be hope that the injury is not as serious as expected. Justin Davis and John Kelly are in line to fill in Brown's role if he indeed goes under the knife. Brown has been ruled out of Sunday's contest at Detroit due to a shoulder injury. Analysis: Brown spelled Todd Gurley for two carries early in the second quarter, turning the pair of touches into eight yards. However, Brown didn't show up on the sideline after halftime, with a shoulder issue to blame for his eventual absence. Gurley will close out the game as the Rams' sole active running back with Justin Davis and John Kelly both in street clothes. Brown played 14 of 80 offensive snaps and rushed four times for 15 yards during Monday's 54-51 win over Kansas City. Brown was on the field for just eight offensive snaps and caught his only target for 10 yards during Sunday's 36-31 win over Seattle. Analysis: This was the second consecutive week that Brown didn't receive a rushing attempt. He's averaging 5.1 yards per tote for the campaign and is locked in as Todd Gurley's backup, but until there's a more consistent role in the offense, it's impossible to rely on Brown in fantasy settings. In deep leagues, Brown remains a stash candidate because of the potential uptick in work if Gurley were to ever miss time with an injury. Brown caught an 18-yard pass for a touchdown during Sunday's 45-35 loss to New Orleans. He played just six of 60 offensive snaps and didn't have a rushing attempt. Analysis: The Rams got behind early and never held a lead against the Saints, so game script was against Brown on Sunday. He continues to show well when given an opportunity, but with Jared Goff leading a potent aerial attack and Todd Gurley having a historic season out of the backfield, there just isn't enough work for Brown to make a fantasy impact most weeks. Brown played just nine of 78 offensive snaps and rushed once for seven yards during Sunday's 29-27 win over the Packers. 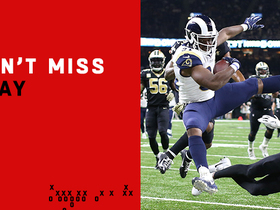 Analysis: This was a tape-measuring matchup for the Rams, and the game was close throughout, so it wasn't surprising to see Todd Gurley hog the workload out of the backfield. Brown's fantasy upside will remain capped as long as Gurley is healthy, as the No. 2 back's opportunities have been limited to garbage time to this point of the season. Still, Brown is a worth considering as a speculative stash in deep settings. 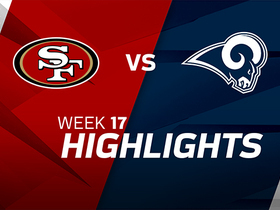 Brown rushed for 65 yards on 13 carries and added one reception for six yards Sunday in the Rams' 39-10 win over the 49ers. Brown recorded 24 rushing yards on five carries during Sunday's 23-20 win over the Broncos. Analysis: The No. 2 back continues to run well when given an opportunity and is now up to 117 yards on 23 carries -- 5.1 yards per tote -- for the year. Unfortunately, Todd Gurley looks like he's getting better by the week after running all over Denver with a career-high, single-game rushing total (208). Without a more consistent role in the offense, Brown has fantasy value limited to a deep-league stash and/or Gurley handcuff. Brown played two offensive snaps in Thursday's win over the Vikings. Analysis: Brown was playing a supporting role to Todd Gurley through the first three weeks of the season, but he saw a severe drop-off in offensive reps in Week 4. The lack of production leaves Brown with little fantasy value heading into the second quarter of the season. Brown rushed three times in the second quarter for 34 yards and twice in the fourth frame for another eight yards during Sunday's 35-23 win over the Chargers. Brown rushed 12 times for 46 yards during Sunday's 34-0 win over Arizona. Brown rushed once for five yards and caught both of his targets for 18 yards during Monday's 33-13 win over the Raiders. He also played just four of 63 offensive snaps. Brown heads into the coming season listed as the Rams' No. 2 running back behind Todd Gurley. Analysis: Justin Davis and John Kelly are also in the team's backup mix, but figure to earn most of their keep early on as special-teamers. Neither of the team's reserve backs are of fantasy import as long as Gurley is healthy, but in the event that he's injured, the Rams would have to choose between the more experienced Brown (now in his third NFL campaign) or Kelly, a 2018 sixth-rounder who ran well during the preseason. Brown rushed six times for 11 yards in the Rams' 21-20 preseason win over the Texans on Saturday. Analysis: Brown was notably outperformed by rookie John Kelly for a second straight week. The third-year pro has had a pedestrian preseason overall, and at this point, it's not inconceivable that Kelly could vault him on the depth chart with another standout effort in the exhibition finale. However, irrespective of who wins the top backup job behind Todd Gurley, it's unlikely to lead to any appreciable fantasy production unless the latter suffers an injury. Brown got the start in Saturday's preseason win over Oakland, taking seven carries for 22 yards and catching one pass for five yards. 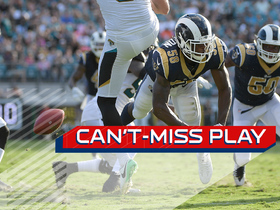 Analysis: The Rams sat most of their starters for a second straight week, wary of playing Todd Gurley and Co. against an Oakland team that they'll face again in Week 1 of the regular season. Brown didn't have a gain longer than six yards, but it's noteworthy that he's still working ahead of sixth-round rookie John Kelly, who took 18 carries for 56 yards and a touchdown in Saturday's game. Brown appears to be headed for another season as Gurley's top backup. Brown is expected to serve as the No. 2 running back behind Todd Gurley again this season, Gary Klein of the Los Angeles Times reports. Brown signed his exclusive-rights tender Monday, Alden Gonzalez of ESPN reports. Analysis: The Rams tendered Brown in early March, making it almost impossible for the exclusive-rights free agent to negotiate a contract with another team. Him signing the tender is essentially a formality, and the running back is now under contract with Los Angeles through the end of the 2018 season. In advance of the upcoming draft, Brown ranks as the No. 2 running back on the depth chart behind Todd Gurley. The Rams tendered Brown on Monday, Alden Gonzalez of ESPN.com reports. Brown rushed 14 times for 54 yards and caught four of five targets for seven yards during Sunday's 34-13 loss to San Francisco. Analysis: Brown led the Rams in carries Sunday with MVP-candidate Todd Gurley inactive to rest up for the playoffs. However, it was a modest showing for the No. 2 rusher, as Brown totalled just 61 yards from scrimmage. He finishes the campaign averaging 3.9 yards per carry and projects to be handcuff option to Gurley with limited standalone value in most postseason fantasy settings. Looking ahead to 2018, Brown will probably again struggle to be a serviceable asset in most formats. Brown appears likely to act as the Rams' lead back Week 17 against the 49ers with head coach Sean McVay implying Tuesday that Todd Gurley and several other key starters would likely be rested for the regular-season finale, Alden Gonzalez of ESPN.com reports. "Every single game is important," McVay said. "But I think [Week 17] will provide an opportunity for us to potentially get some guys healthier, rest them, give some other guys a chance to step up. How that affects the guys that are healthy that we want to be smart with is going to be determined as the week progresses. But it is one of those deals where I think you might see us rest some guys." Brown rushed 10 times for 45 yards during Sunday's 42-7 win over Seattle. Analysis: Beside a first-quarter carry, Brown's touches all came with the game out of hand. Todd Gurley ran for 152 yards and three scores on 21 carries, and Brown and Tavon Austin had little trouble gashing the Seahawks while the Rams rested their stars and milked the clock. 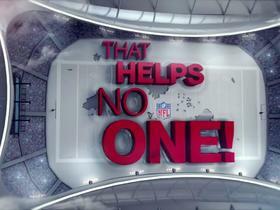 With Gurley locked in as the high-volume, No. 1 rusher, there are only scraps left over, so Brown's handcuff and standalone value are both extremely limited at this stage of the fantasy season. Brown was active for the first time since Week 9 and rushed once for five yards during Sunday's 43-35 loss to Philadelphia. Analysis: After missing four contests with a knee injury, Brown's return to the field without an aggravation to the ailment is encouraging for his health over the final weeks of the season. He also appears to have reestablished his position as the No. 2 running back behind Todd Gurley. However, the role is unlikely to lead to serviceable fantasy value with as long as Gurley is healthy, so Brown's nothing more than a handcuff option at this stage of the game. 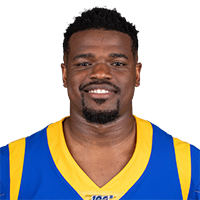 Brown (knee) was estimated to be a full participant at the Rams' walk-through Wednesday, Rich Hammond of the Los Angeles Daily News reports. Analysis: Brown was inactive for Sunday's win over the Cardinals but he is expected to be available for Week 14. The 24-year-old returns to a muddled situation with the return of Lance Dunbar, but workhorse Todd Gurley has unsurprisingly continued to dominate the offensive backfield for the Rams. Brown (knee) is inactive for Sunday's game against the Cardinals, Gary Klein of the Los Angeles Times reports. Analysis: Despite returning to a full practice Friday after logging limited sessions Wednesday and Thursday, Brown will be sidelined for the fourth straight game. The Rams are only keeping two running backs active Sunday, with Lance Dunbar (knee) serving as the lone backup to bell cow Todd Gurley. Brown (knee) is listed as questionable for Sunday's game against the Cardinals, Mike Jurecki of Arizona Sports 98.7 FM reports. Analysis: After opening the week with two limited practices, Brown was upgraded to a full participant Friday, his first such session since suffering an MCL injury in a Nov. 5 win over the Giants. While it appears Brown is inching closer to full health, the Rams may want to have him pick up more practice time before having him dress in a game. No matter if he's cleared to play this week or next, he'll hold a minimal role in the offense behind a healthy Todd Gurley. Brown (knee) returned to practice Wednesday as a limited participant, Darren Urban of the Cardinals' official site reports. Analysis: Brown hasn't practiced or played in a game since he suffered an MCL injury in a Week 9 win over the Giants. Todd Gurley has rarely left the field in competitive situations the past three weeks, only occasionally giving way to Tavon Austin in the backfield. Neither Brown nor Lance Dunbar (knee) provides a major threat to Gurley's workload. Brown (knee) is inactive for Sunday's game against the Saints, Rich Hammond of the Los Angeles Daily News reports. Analysis: Brown will be sidelined for a third straight game due to the MCL injury. The Rams haven't provided a timetable for his return, but the running back's failure to practice in any capacity this week doesn't bode well for his status for the Saints' next game Dec. 3 against the Cardinals. Brown is expected to log a multi-game absence due to an MCL injury, Rich Hammond of the Los Angeles Daily News reports.. However, Brown won't require surgery on the ailment. Analysis: Brown suffered the injury during Sunday's dominating win against the Giants. With Todd Gurley's direct backup out of commission, there's a chance Lance Dunbar (knee) is activated from the PUP list in advance of Sunday's matchup against the Texans. If the Rams don't deem Dunbar healthy, though, Justin Davis will have the first chance to spell Gurley this weekend. Brown suffered an MCL injury during Sunday's 51-17 win of the Giants and may require surgery, Rich Hammond of the Los Angeles Daily News reports. Brown ran 15 times for 57 yards -- 3.8 yards per tote -- during Sunday's 51-17 win over the Giants. Los Angeles Rams running back Malcolm Brown hurdles a man and then tight ropes the sideline to get in for an 18-yard touchdown. Los Angeles Rams quarterback Jared Goff finds running back Malcolm Brown for the two-point conversion. 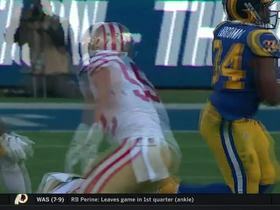 The San Francisco 49ers defeat the Los Angeles Rams 34-13 in Week 17 of NFL action. NFL Network's Kyle Brandt explains why Rams running back Malcolm Brown will be the backup player that will shine in a Week 17 starting role. Los Angeles Rams linebacker Cory Littleton blocks punt, running back Malcolm Brown recovers for a Rams touchdown. 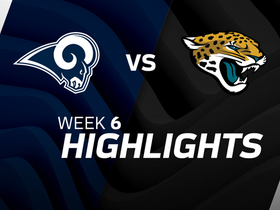 Watch highlights of the Los Angeles Rams taking on the Jacksonville Jaguars in Week 6 of the 2017 season. 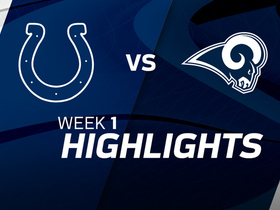 Los Angeles Rams quarterback Jared Goff and the Rams defense put on a show as the home team defeats the Indianapolis Colts 46-9 in Week 1 of NFL action. 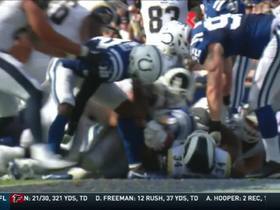 Los Angeles Rams running back Malcolm Brown refuses to go down as he scores on a 3-yard touchdown.